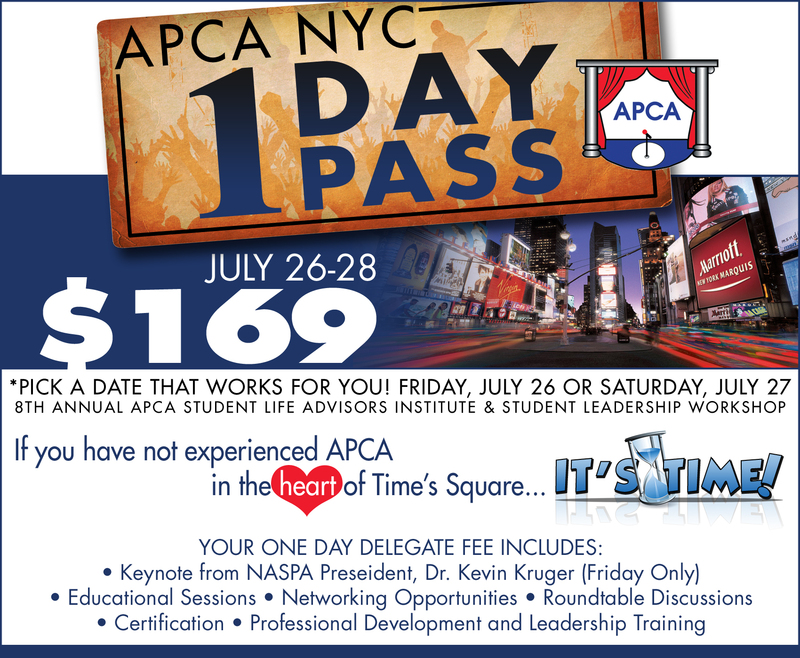 Live in and around “The Big Apple” and want some awesome leadership training? Well, you should consider signing up for our 8th Annual Student Life Advisors Institute & Student Leadership Workshop! We have one-day passes available so you can just drop in on the day that fits best with your schedule. We have some great keynotes and educational sessions planned. It’s too affordable to pass up!